If you are moving to Hawaii or for some other reason and would like to ship a car to Hawaii then there are a few important things that you need to keep in mind. Today we will look at the 7 most important things that you need to know before you ship your precious car across the water. 1.) The shipping cost: This should, of course, be somewhere near the top of the list of things you want to know before shipping the car. There is, however, no definitive answer here as the shipping cost depends on a lot of factors such as the weight of the car, how much the car is worth, and the exact distance the car has to be shipped over. On an average, it would cost somewhere between $1000 to $1500. Keep in mind that the cheapest service is not always the best. Opt for one that has good reviews and has been around for a considerable amount of time. 2.) The shipping time: This again is a very subjective point. The exact timeframe depends upon how your car is being shipped. If there is only transport over water required then it will take around 10 – 17 days but if land, as well as sea journey, is required then this time can go up to almost 3 weeks to a month or even more. The shipping agency will be your best bet as far as the exact timeframe is concerned. Keep in mind that these times are subject to weather conditions and other factors and there can always be a delay. So make sure that there are no important documents inside the car and that you do not need the car in the immediate future. 3.) Proper documentation: This goes without saying that the car must have proper documentation. You should have the original documents of ownership, registrations, and insurance and emission tests. If any documents are required apart from these as per the shipping agency then make sure you have it before actually shipping the car. 4.) Preparing your car for shipping: This is another important step and is often something most people are not clear about. Make sure that the vehicle has been recently serviced and has no check engine lights on. The reason for this, is laws can change at any given moment so to be safe have your vehicle already running good before you drive it in Hawaii. 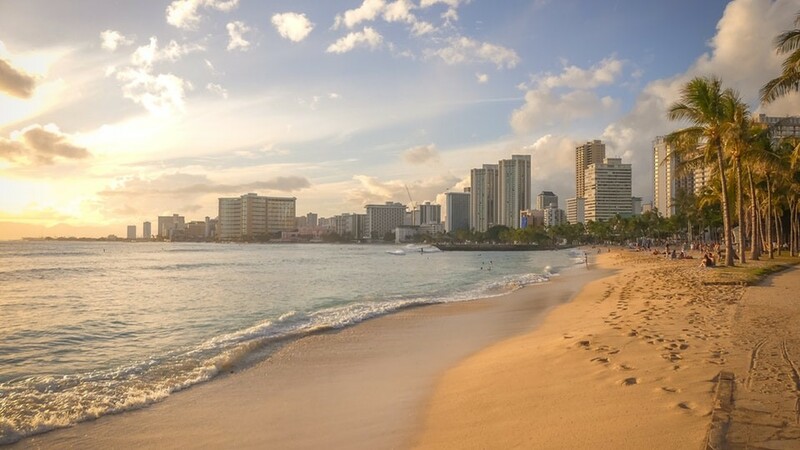 Although Hawaii doesn’t have any laws that prevent anyone from driving pollutant ridden vehicles in Hawaii, your vehicle will have to undergo a safety check that can range from $9.00-$19.00. 5.) How to hold the car carriers responsible for any damages upon arrival: Pictures, pictures and more pictures. Take pictures of every part of your vehicle to ensure to you have sufficient evidence in case of an accident or possible theft. Even go as far as taking pictures of the windshields. 6.) Vehicle Arrival Certification: When registering your car with any Hawaii DMV, submit this form if you don’t have the shipping receipt or bill of lading for the vehicle you brought into Hawaii from out-of-state (if applicable). 7.) Before you drive in Hawaii: In the state of Hawaii If you have any pre-existing medical condition, you have to complete and submit a medical exam form to your county driver licensing office to determine your eligibility for a HI driver’s license. And must only be completed by a physician. You need to Submit this form if you’re temporarily in Hawaii and need to drive your vehicle but won’t be in Hawaii long enough to need a HI car registration. Now that you are clued up on how to ship your car to Hawaii, why not relax and play some of our favorite driving games?